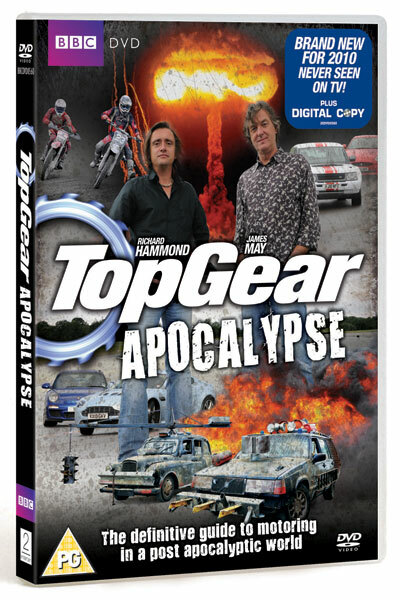 In this all-new Top Gear DVD, Richard Hammond and James May ask what motoring would be like in a nuclear, post apocalyptic world. They are determined to give you the essential motoring survival guide for when the end is nigh, plus plenty of smashes, loud noises, fire and running away. To find out about the world of tomorrow – or at least Hammond and May’s idea of it - they speak to top scientists and come up with their predictions of how that future would be. In typical Top Gear style, it’s time to cue crashes, explosions and lots of cocking about.